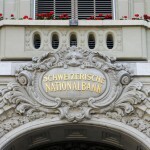 Today, the Swiss National Bank (SNB) announced a new agreement with the Federal Department of Finance, to pay the Swiss confederation and cantons CHF 1 billion per year, as was previously the case. The deal will run from 2016 to 2020, according to an official press release. 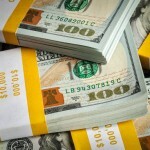 The deal differs from the past because it requires shortfall payments. In years when the SNB doesn’t have enough reserves, the payment can be reduced and any shortfall made up in following years. If reserves exceed CHF 20 billion, the annual payout can rise to a maximum CHF 2 billion. 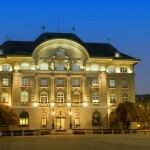 Switzerland’s central bank’s shares are listed on the Swiss stock exchange. Its shareholders include Swiss cantons, Swiss cantonal banks, and numerous private individuals. At the end of 2015, cantonal banks and cantons owned around 52%, with the cantons of Bern (6.6%), Zurich (5.2%), Vaud (3.4%), and St. Gallen (3%), holding the largest shares. The largest personal holding was held by German national Theo Siegert (6.6%).